WHAT: The Political Art and the Public Sphere (PAPS) series presents a screening of the film Life & Debt, which will be followed by a group discussion. WHEN: Monday, February 20, 2012 at 6 p.m. 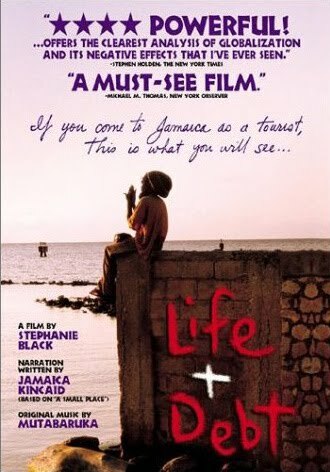 DETAILS: Life & Debt tells the stories of individual Jamaicans whose day-to-day existence is profoundly impacted by U.S. and other foreign economic agendas. Combining traditional documentary with a narrative framework, this film explores the complexity of international lending, structural adjustment policies, and free trade policies. Life & Debt clarifies the impact that economic policies have on the lives of the people they are said to benefit. And this film is not only about Jamaica, where these policies have been in effect for nearly twenty-five years. Life & Debt critically reviews the policies most often associated with “globalization,” which impact the lives of everyday people in Haiti, Russia, throughout Africa, and in many other countries around the world. The PAPS series is a monthly event on the UIS campus featuring a showing or a performance of some kind of “political art,” followed by an hour or two of group discussion. The discussion is hosted by Dr. Richard Gilman-Opalsky, professor of Political Philosophy and Dr. Heather Dell, associate professor and chair of Women and Gender Studies at UIS. Each of the installments in the spring 2012 series will explores the meanings and impacts of the phenomenon called “globalization,” highlighting its history and problems, as well as what everyday people have done to confront its ill-effects. All events are free and open to the public. For more information contact Dr. Gilman-Opalsky at 217/206-8328 or email rgilm3@uis.edu.